We stayed here for two nights and it was a great experience. We did the free walking tour (actually free) which was a big bonus to the hostel. Beds were very nice and all the facilities were regularly cleaned. 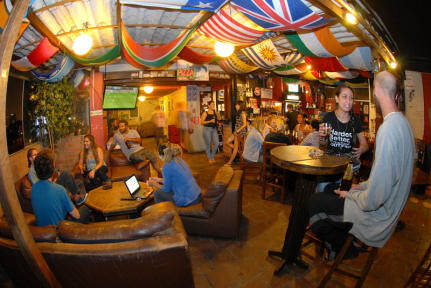 The hostel has a good roof top bar and the staff were very helpful. Pros - great location, good bar, friendly staff, nice rooms, very clean Cons - lacked atmosphere. Was there fri and sat night and there were no parties or large groups of people hanging out/talking. Very calm and quiet. Maybe I missed something? Was hoping for more of a party experience but didn’t meet many people. Very basic hostel centrally located. I would choose another place if I came back to Lima because the doors don’t have proper locks where the door looks behind you, so everyone ends up inadvertently leaving doors insecure. Make sure you lock things up, even if gone for a few minutes. Staff were sometimes pleasant, other times not so much. I think staff came in to clean the washrooms about 6 times a day. After awhile it seemed like they were just casing the place. Towels are not easy to come by. The rooms were really dirty and the hostel is right above a pub. 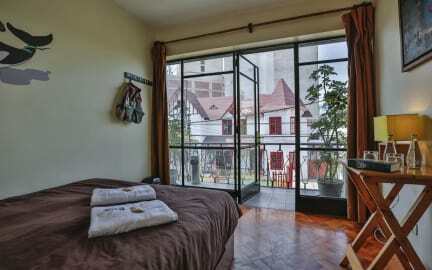 Because of the heat the windows were left open so you were basically sleeping in a pub. Would be a bit better with closed windows probably but am not sure if they’re double glass or not.. anyways we didn’t like it too much and left very tired.